Ideally I would provide full architectural design services for every project. Let’s be honest, that’s the want of every architect for every project. However, for several reasons, I realize this is not always an option, nor is it always necessary. Cost is typically a primary issue on every project, and usually the first thing to be eliminated is professional design services of an architect. However, as a client you need to be aware of options that do not eliminate the services of an architect. The primary means of reducing the design fee is to reduce the level of service provided. However, that in turn will result in more responsibility for you and it becomes crucial (even more so) to have a competent contractor. 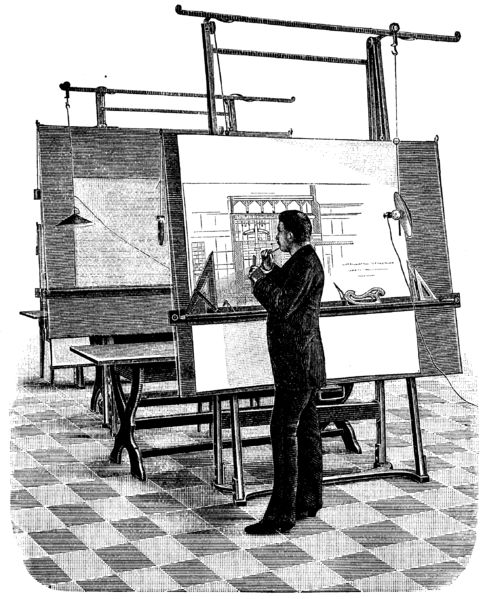 Obviously, the greater amount of detail included in the drawings, the clearer the procedure for construction. 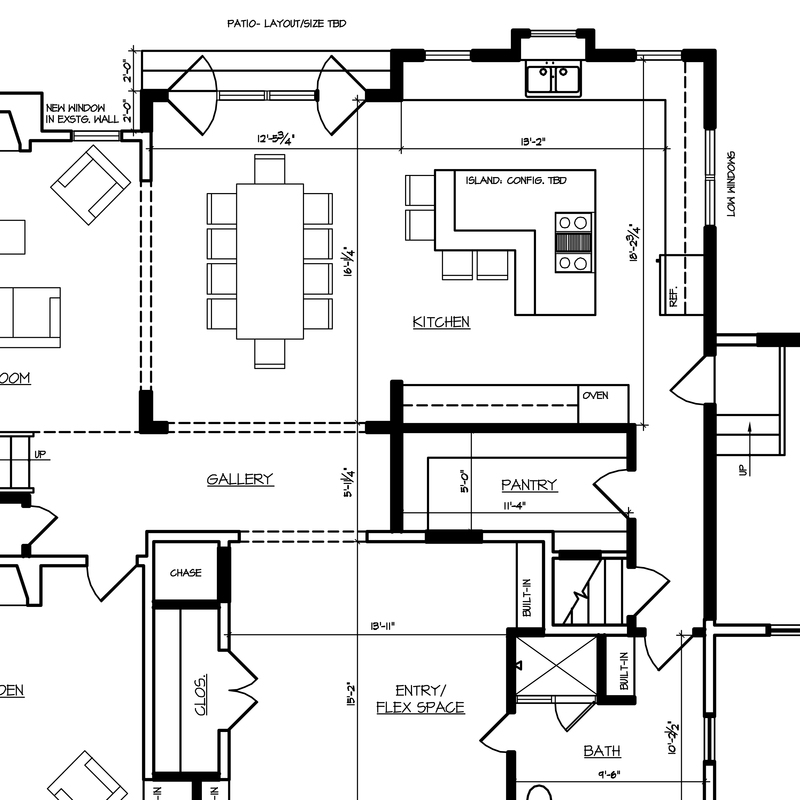 The design drawings are vital in assuring you that your house is built the way you want it. 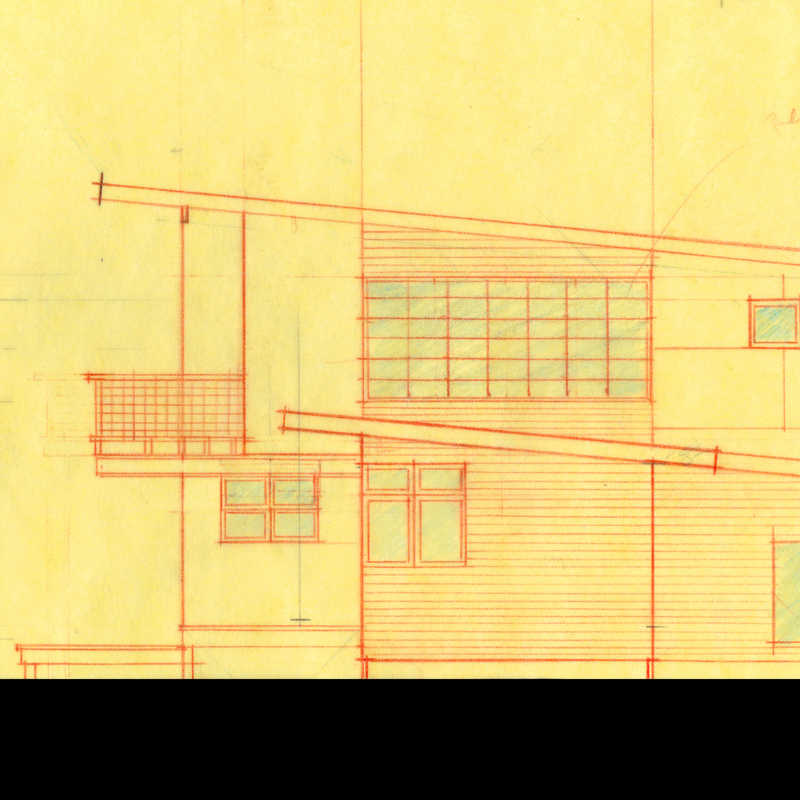 The more detail in the drawings the more control you have over the resultant house. Anything not included in the drawings is at the discretion of the contractor. You’ll have less control over the final outcome of the house because you have given the contractor fewer instructions/information to follow. This level uses an architect’s special training to problem solve, but the task of producing drawings for permitting and construction is the responsibility of others and is hired by you. This level is appropriate for simple designs. This level of service is appropriate if you want a house designed for your particular needs, but want to either draw the plans yourself or to have the builder, or a drafting service perform the drafting. This level of service is appropriate for those seeking a house with standard construction and finishing details. Like Level 1, this level of service is recommended for simple designs, where everything is straight forward. This level of service is the same as previously described in Level 1. 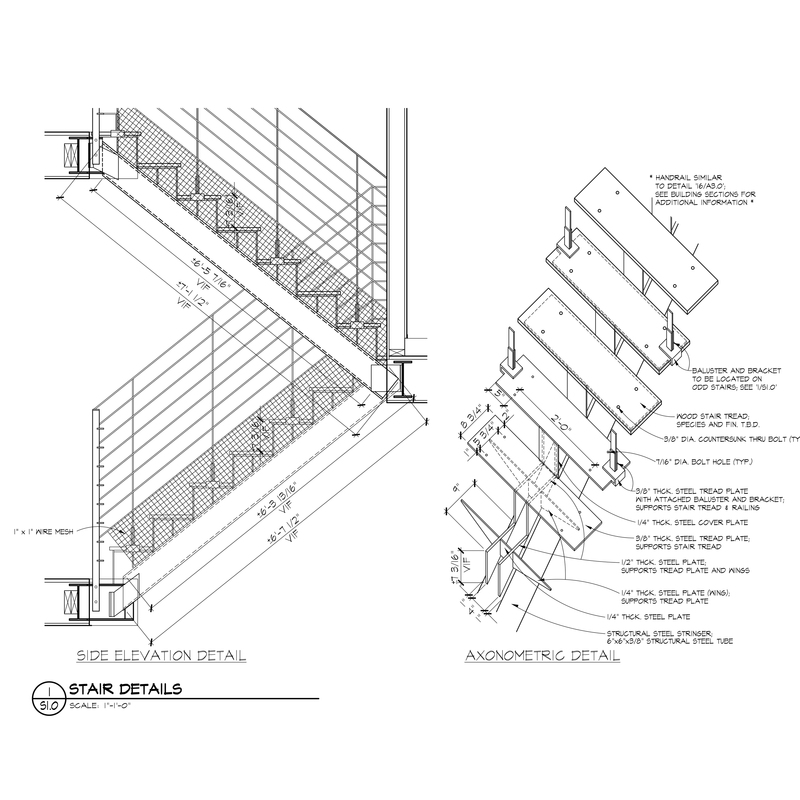 However, once a design is agreed upon, a Schematic Design Resolution Package is provided. This level of service is the same as previously described in Level 2. 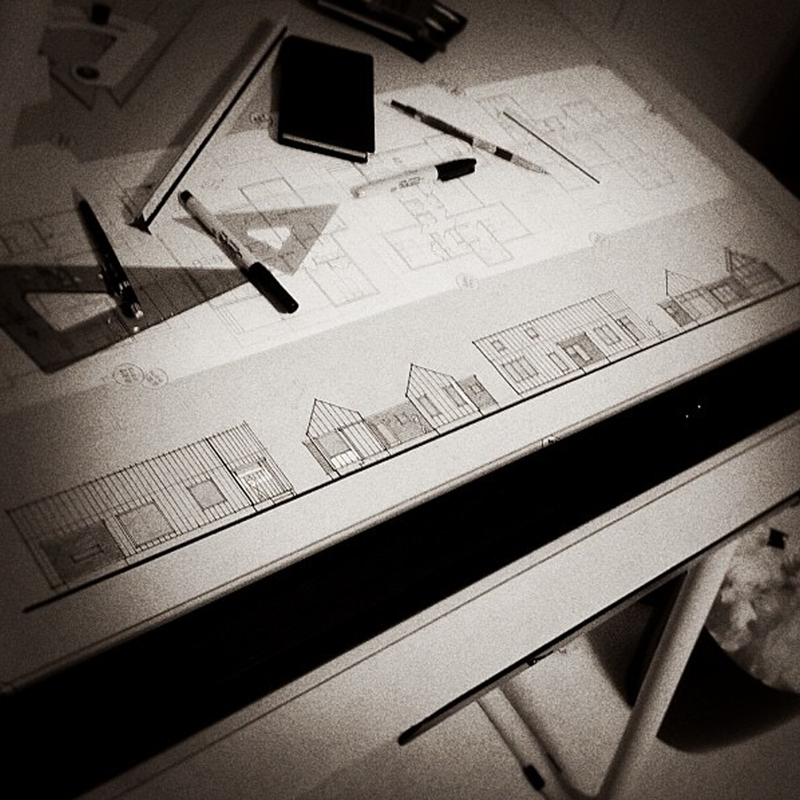 However, once a design is agreed upon, a set of Design Development Drawings is created. The Schematic Design is developed so it more precisely fits your desires and needs. Preliminary materials are indicated/selected for your house. This level of service is the same as previously described in Level 3. However, once Design Development is complete, a set of Construction Documents is created. 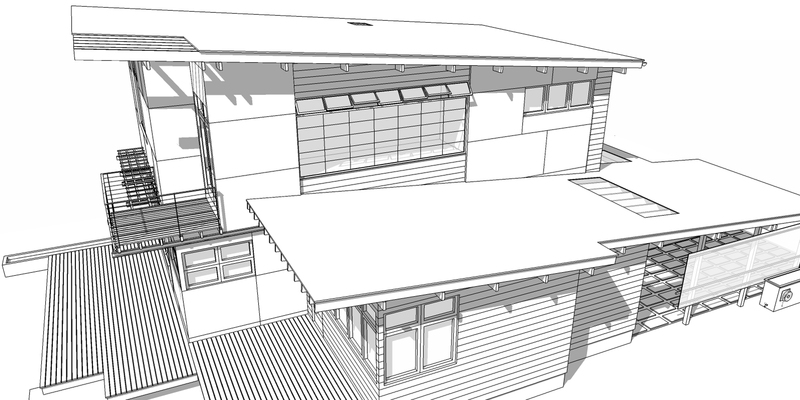 These drawings are also used for obtaining a building permit and for construction of your house. All of the information obtained throughout the previous phases of work are incorporated and coordinated to create a set of drawings and documents that set forth in detail requirements for the construction of your house. This also includes structural engineering of your house. – Selection sheets indicating what fixtures, appliances, lights, etc. that you need to select. This is the construction phase of your project. Basically, we are involved during this process to see that the builder is following the Construction Documents during construction. 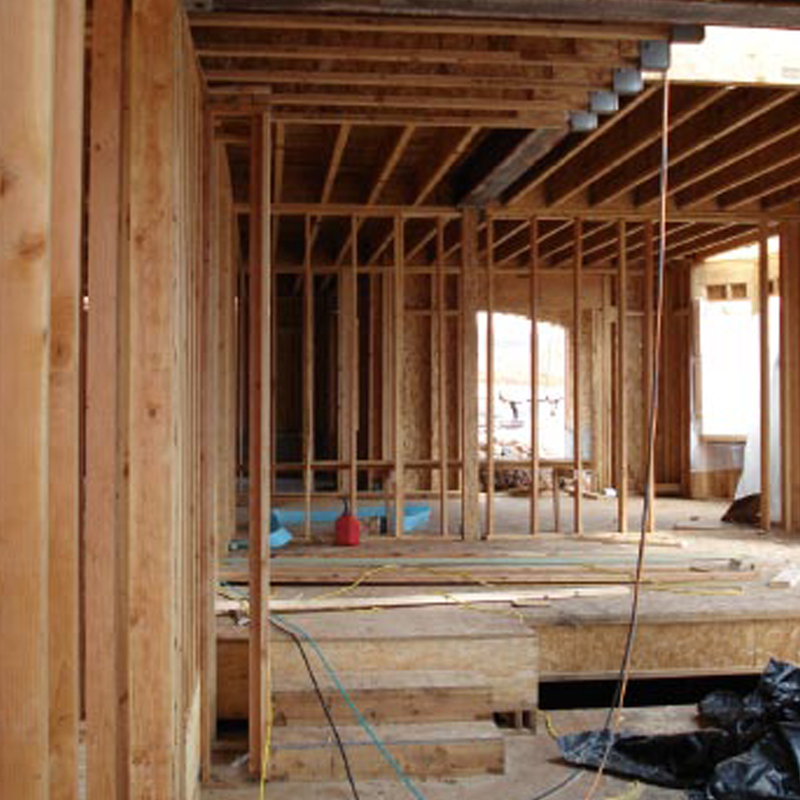 Ideally, at a minimum, visits to the site would occur at; Foundation and Footings, Substantial Completion of Framing, Pre-Electrical, Before Drywall, Trim work approximately 50%, and Substantial Completion. This service is only provided if Level 4 is selected. There are far too many liabilities to be involved with the construction unless we are the author of the Construction Documents. For any other services not indicated, and for any situation where our experience in residential design and construction would be of value, we are available on an hourly basis. Ideally you would select Level 4. However, even limiting design services, there remains inherent value in employing the services of an architect. As a future client, you need to be aware of the options available such that you can realize your dream home. If you are considering/making such an investment, why not hire an architect to assist you in getting what you want? If you want your home to reflect who you are and how you live, hiring an architect is something you cannot afford not to do. Armed with this series, a residential client should feel at ease about hiring and working with an architect. Architects will listen to your needs/wants and in the end you’ll have the home you wanted because your architect was able to assist you in bridging the gap between your budget, your vision and reality. You’ll end up with a home that fits you and your lifestyle. If you still have reservations or questions fell free to comment below or send me an email! ** Even limiting services an architect will bring value to your home, it won’t come with large fries or a super size drink, but it will be value. What is the best house? Is it a mid-century modern? Perhaps it’s a contemporary? Is it a Georgian Revival? Is it a Craftsman Bungalow? Is it a 100 year old renovated farmhouse? Or is it something else? Yes, it’s all of these; the best house is the house that works for you and your lifestyle! However, without an architect, achieving the best house for you is challenging. Most people have lived in houses of one sort or another their entire lives. Typically we take our houses for granted and do not appreciate just how many decisions have to be made prior to constructing a new house, or renovating/adding to an existing house. At some point, someone had to think through the entire design and construction process- address needs, wishes, budget, schedule, and comply with local building and zoning codes- all while ensuring that the resultant house was structurally sound, efficient, and aesthetically pleasing. 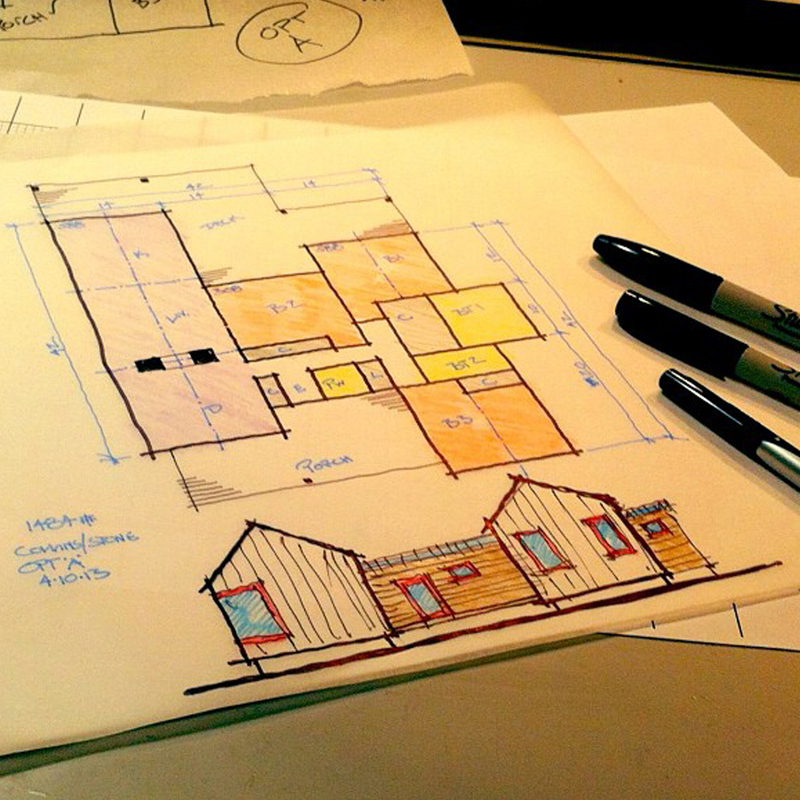 The best ‘someone’ for the task is an architect. Architects are educated to help you define your needs, present options you may not have considered, prepare documents that instruct how your house is to be built, and assist you in the myriad of decisions inherent in the design/construction process… all while making it fun! Your house may be the most expensive project you will ever undertake. If you are making such an investment, and you want your house to reflect who you are and how you live, hiring an architect is a must. An architect will help you design/discover a house that works for you and fits your individuality and preferences. This house, your house, will be vastly different than one designed for someone else. Your house will fit you like a glove. An architect will assist you in bridging the gap between your vision and reality. We architects take the opportunity to work with you on such an important aspect of your life very seriously. One of the most enjoyable aspects of our work is that we are hired to create wonderful places for daily living. It is a very rewarding experience for both architect and client. What is the best house? Easy, the best house is the house that works for you and your lifestyle! How to achieve the best house, well that’s a bit more challenging and should involve an architect. What is the best house for you? Talk to an architect and begin the journey, it’ll be a great experience! ** I really need to get to the post about house vs. home. 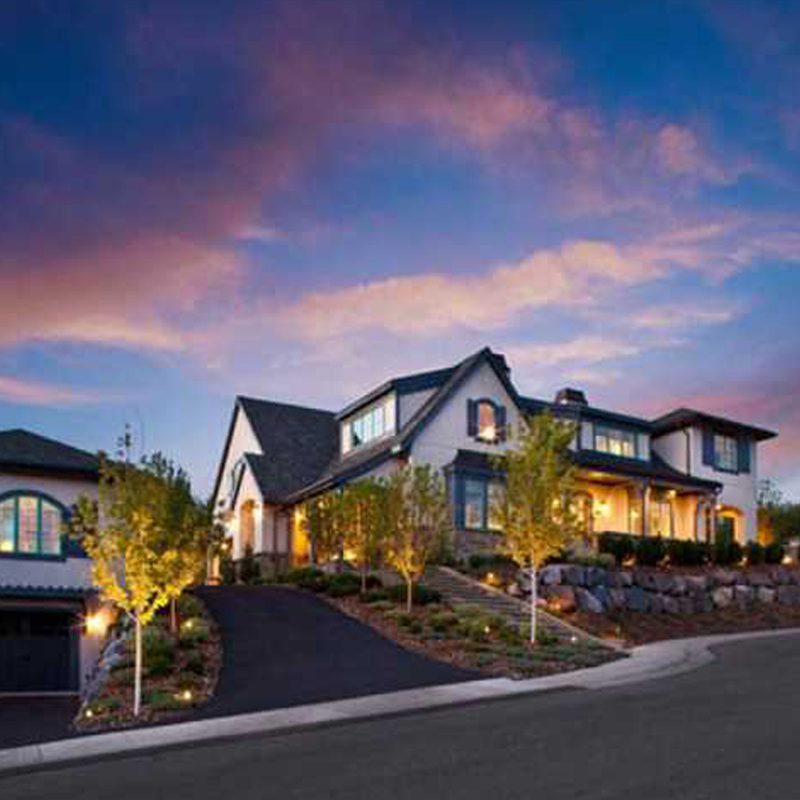 I’ve been involved with client based single family residential design for over nineteen years. I’ve worked on single room additions, five million dollar+ custom houses, and everything in-between. Each house has its own unique set of circumstances that need to be resolved or addressed. No two clients have the same set of circumstances or needs for their house. However, one issue is always prevalent- value. Usually value is associated with a monetary amount, but that’s not always true. Clients talk about wanting to add, increase, and maintain value… but typically they’re not sure what value they’re talking about or how it applies to their house. 1. Location/ Orientation house should be located within a reasonable proximity to the client’s daily needs. 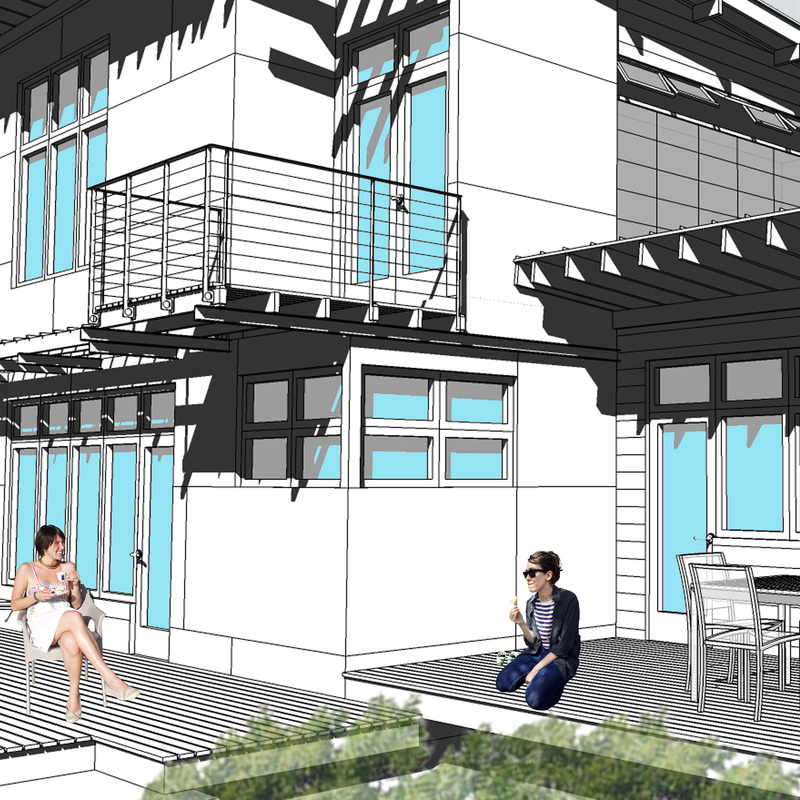 Ideally, the house should be in a mixed-use community that offers various amenities with-in walking distance. The less dependent on a vehicle the better for the environs and one’s health. A house should be orientated to take advantage of the sun, prevailing winds, and site specific features. In addition, the house interior should have a connection to the outdoors, both visually and physically. 2. 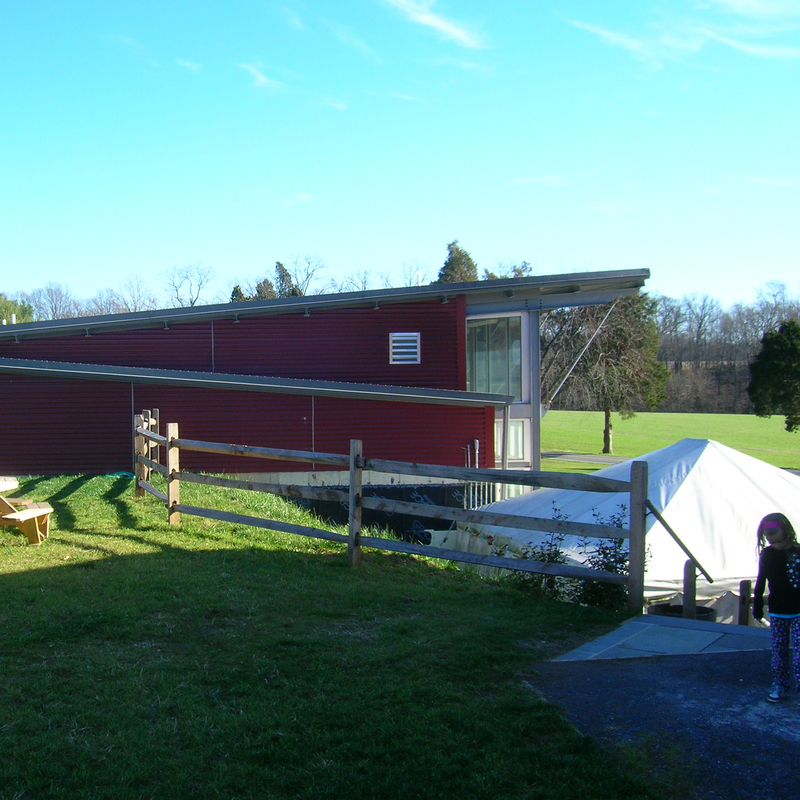 Sustainable house should take advantage of both passive and active sustainable building practices. There are numerous exterior and interior strategies/ methods that can be employed to reduce a house’s impact on the environment. However, the best thing is to construct only the spaces necessary. 3. 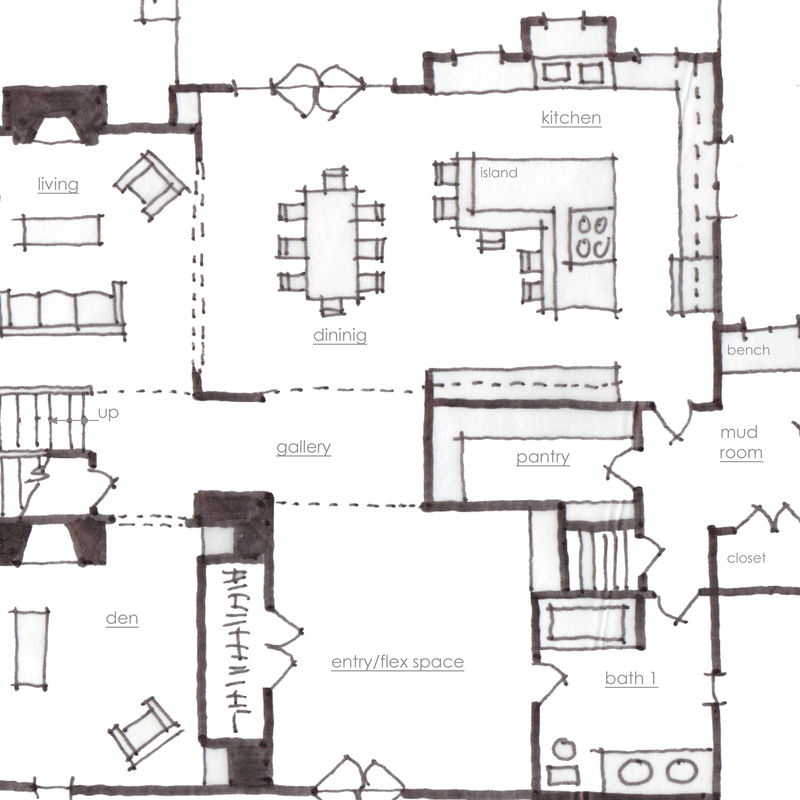 Floor Plan should meet your needs and how you live. Do not design for what you are told is needed to re-sell the home or include whatever the latest trend is, i.e. “man cave.” You don’t want rooms that you never use- not only will you have to furnish them but you will also have to heat and cool them- these monies are better spent elsewhere. Efficiency can be achieved by the minimization of the plan and simple building volumes. 5. 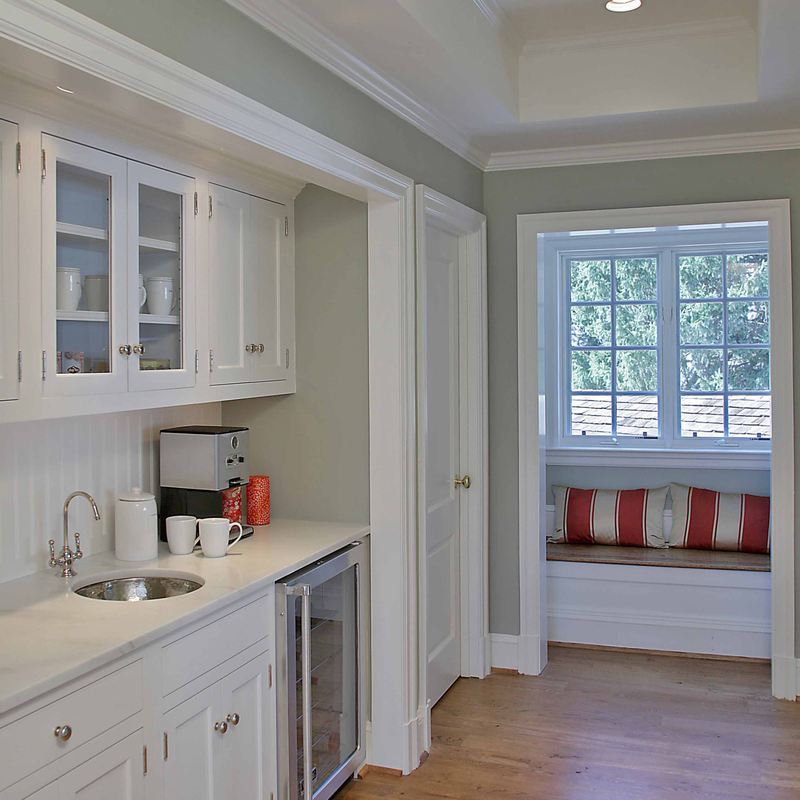 Kitchens + Bathrooms should be well organized, have efficient layouts, and provide ample storage- all of which can be achieved in a compact or moderately sized space. 7. Garage cars are a reality that is not going away any time soon. However, a garage should not be the dominate element on a house. Ideally the garage should be set-back from the main elevation, or even better, if the site allows, the garage should be located on the side and underneath of a house. 9. Materials use low-maintenance long lasting materials. 10. Quality should take precedence over quantity. This applies to the entire house- overall size, rooms/ spaces, finishes, etc. Employ fewer elements executed to a higher degree of proficiency. The most valuable houses are the ones located in mixed-use walkable communities. Ideally the house is close to the owner’s daily needs. Houses that rely on an efficiency of space and are well designed in simple forms and details. Houses designed to meet the needs of the owners, minimize the life-cycle costs of operating and maintaining the house, a house designed for you– these are characteristics of a valuable house. ** Notice I used ‘house’ and not ‘home’… a future post on that is in the works. 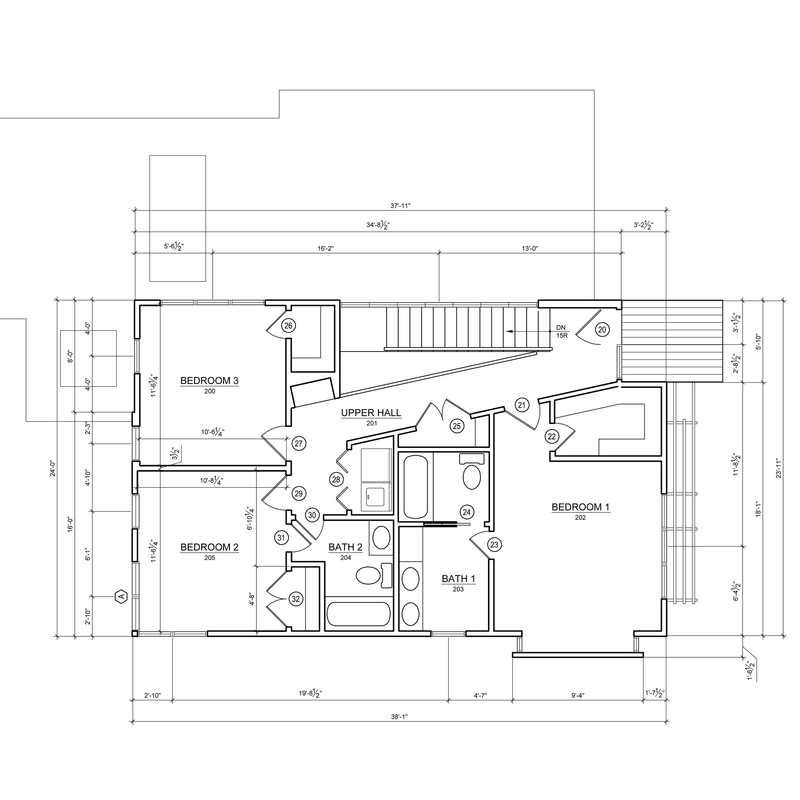 Hiring an Architect: Part 5- What? Me, hire an architect? These questions weigh heavily on clients, in reality; they couldn’t be further from the truth. However, hiring the services of an architect is not for everyone. 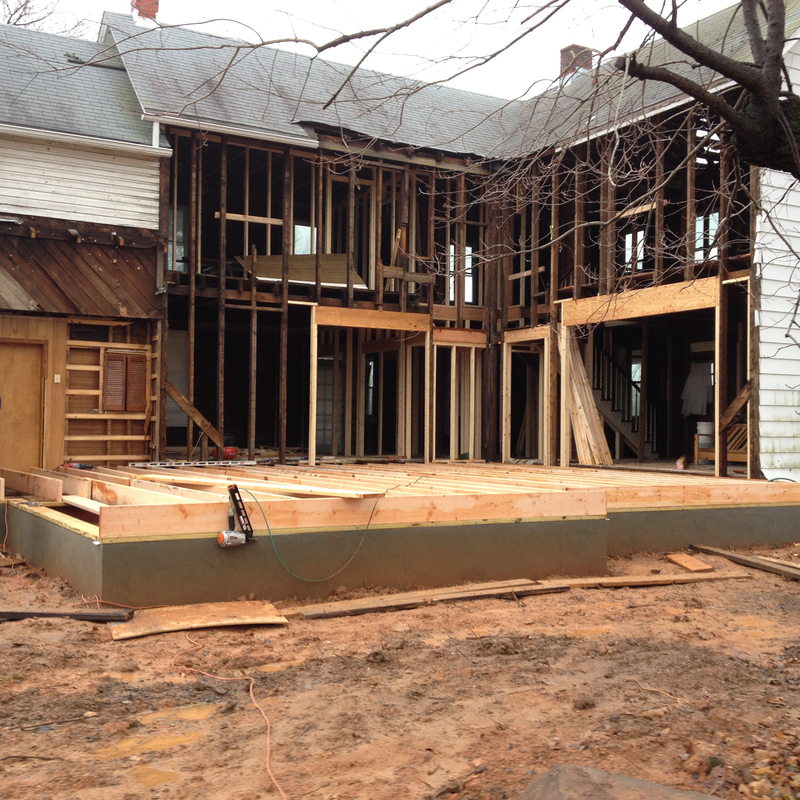 Not everyone is building a custom home or taking on a significant renovation/addition. If you are considering/making such an investment, why not hire an architect to assist you in getting what you want? If you want your home to reflect who you are and how you live, hiring an architect is something you cannot afford not to do. People often don’t think about the cost of a realtor or contractor. Engaging their services costs thousands of dollars. However, you realize the value that they bring to your home and I doubt you would attempt to buy/sell or build your own home without them. Architects should be viewed in the same light. We aren’t as expensive as you might think, our fees are as flexible as the type of project you have in mind. Your home is in all likelihood the most expensive investment you’ve made/will make. Wouldn’t you want to enhance your return by hiring an architect to help guide you through the design and construction process? Hiring me an architect is not something reserved for the wealthy. The majority of my work is working with ‘every-day people’ with moderate budgets- much like me. 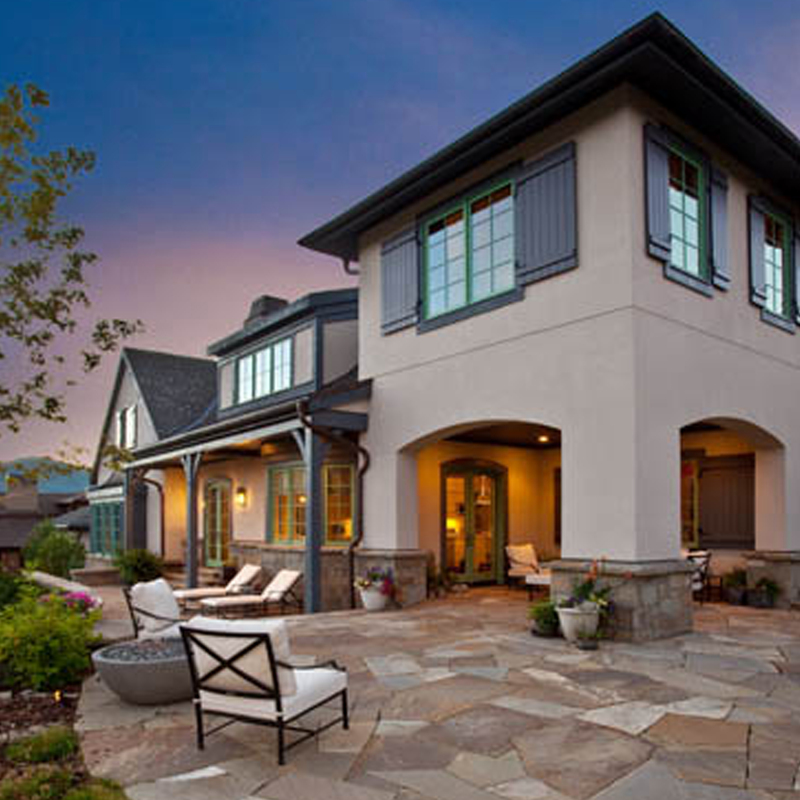 No matter the scale of the project, be it a garage addition or a new million dollar custom home, architects offer services for a variety of budgets and project types. An architect’s value is problem solving, addressing clients’ needs/wishes/budget/schedule, and complying with local building and zoning codes- all while designing an aesthetically pleasing efficient home. I help clients design/discover a home that works for them and fits their individuality and preferences. The value of our services is occasionally related directly to cost savings. However, typically our value is in questioning, planning, clarification, detailing, and ‘solidifying’ numerous moving ‘parts’ into a cohesive design- which ultimately results in cost savings to the client. This in turn enhances our affordability. You could buy a builder house or build a house from a ‘plan book’ or on-line source. Going that route will allow you to build someone’s house, it won’t be your house, but it will be a house. These houses and plans are typically designed for what the ‘masses’ want or what some market analysis determines they want. Either way, it’s not going to be a home tailored to how you live. You’ll be able to choose paint colors, flooring options, fireplace surround, etc. However, for the most part you’ll be locked-in to a floor plan that appeals to mass buyers. If that’s all you want in a home, than this may appeal to you. The best option is a home designed specifically for you. This home will be vastly different than one designed for someone else. I like to equate it as a builder/’plan book’ home fits you like a mitten while an architect designed home fits like a glove. When it comes to designing your house, an architect will have strong preferences and recommendations. However, ultimately it will be up to you to make decisions. An architect will not force a design on you which you don’t want; if they do try, than you didn’t follow this series about ‘Hiring an Architect.’ It goes without saying (typing isn’t saying, is it? ), we will make recommendations; present differing options, and offer our professional opinion- which is why you hire us. However, ultimately you make the decisions- we work for you. Working with an architect will allow you to make well informed decisions. Architects will listen to your needs/wants and in the end you’ll have the home you wanted because your architect was able to assist you in bridging the gap between your vision and reality. You’ll end up with a home that fits you and your lifestyle. Armed with this series, a potential residential client should feel a bit more at ease about hiring and working with an architect. If you still have reservations or questions fell free to comment below or send me and email. So the next time you find yourself asking “What? Me, hire an architect?” Be sure to answer with a resounding YES! ** Another way to look at is that a builder house is like wearing a friend’s underwear, it’ll work, but it just feels icky! In this installment of the ‘Hiring an Architect’ series, I provide some general terms and definitions that a residential client should be familiar with when involved with a construction project. 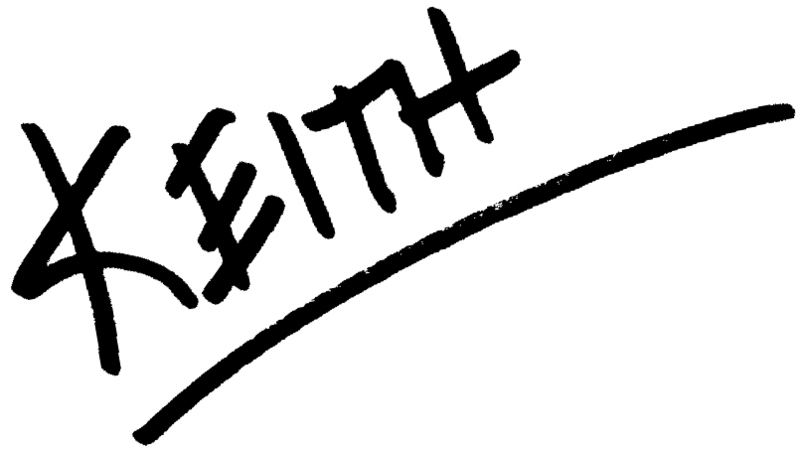 I know, I know… I hear you asking “But Keith, what happened to the funny sarcastic posts? I mean this series seems pretty serious.” Well, rest assured the sarcastic humor shall return. Read the post WWJD and other architectural abbreviations for some not-so-serious abbreviations and associated meanings. However, once and a while I feel the need to write posts that help in educating clients what is we architects do and what it’s like working with us. Keep in mind, these definitions/terms are not all encompassing. However, they do give you a good foundation (*pun inserted*) of terms you should be familiar with. When in doubt or you don’t understand a term, phrase, definition, etc., ask your architect for clarification. A sum of money set aside in the construction contract for items which have not been selected and specified in the construction contract/construction documents. The contractor will be responsible for purchasing these items when they are chosen by the client. If the client selects an item which costs less than the specified allowance for that item, the client shall receive a credit equal to the difference in cost. Similarly, if the client selects an item which costs more than the specified allowance for that item, the client shall receive an extra charge equal to the difference in cost. Material, equipment, or method proposed by the contractor and approved by the architect for incorporation in or use in the work as equivalent in essential attributes to the material, equipment, or method specified in the contract document. A designation reserved, usually by law, for a person or organization professionally qualified and duly licensed to perform architectural services. Ordinances governing the manner in which a structure may be constructed or modified. Regulations, ordinances or statutory requirements of a government unit relating to building construction and occupancy, generally adopted and administered for the protection of public health, safety, and welfare. A type of property insurance which indemnifies against damage to buildings while they are under construction. It is usually bought by the owner of the building but the general contractor constructing the building may buy it if it is required as a condition of the contract. If the project involves renovations or additions to an existing building, the owner’s existing property insurance may cover the work under construction, obviating the need for builder’s risk insurance. However, in the case of new buildings under construction, the owner may not have an existing policy that provides coverage. Typically referred to as a ‘”CO.” This certificate is issued by the local municipality and is required before anyone can occupy and live within a home. It is issued only after the local municipality has made all inspections and all monies and fees have been paid. An amendment to the construction contract signed by the owner, architect, and contractor that authorizes a change in the work or an adjustment in the contract sum or the contract time or both. In this phase, your architect observes the pace and quality of construction. As your agent, your architect looks out for your interests, keeping you informed of the project’s progress and overseeing any changes or problems that may arise. Construction phase services are helpful in keeping your project on track and within budget. The sum established by the owner as available for actual construction of the project, including contingencies for bidding to contractors and for changes during construction. 1. The contractor’s registration number. 2. A statement of work quality such as ‘Standard Practices of the Trades’ or ‘according to Manufacturers Specifications’. 3. 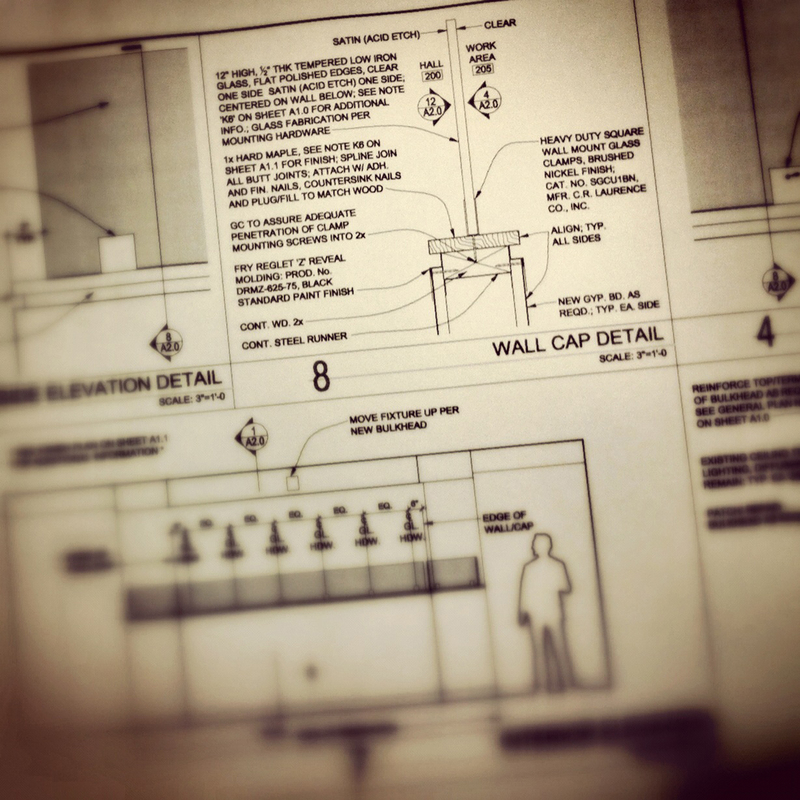 A set Construction Documents/Drawings. 4. A construction timetable including starting and completion dates. 5. A set of Specifications. 6. A Fixed Price for the work, or a Time and Materials formula. 9. Clause(s) which outlines how any disputes will be resolved. 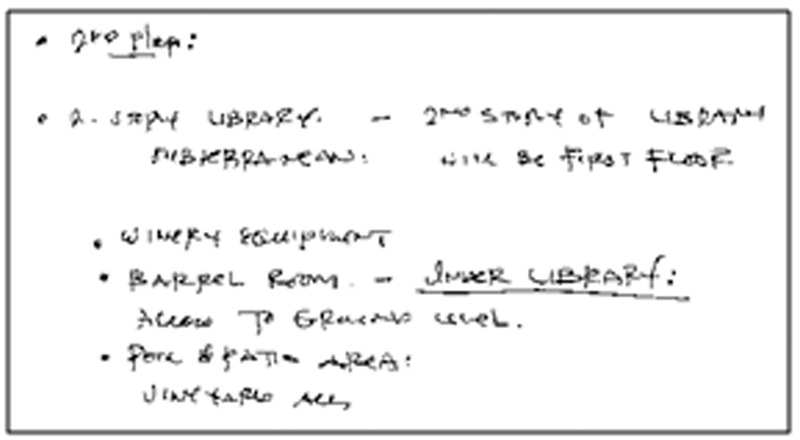 Drawings and specifications created by an architect that set forth in detail requirements for the construction of the project. General contractor– a contractor who enters into a contract with the owner of a project for the construction of the project and who takes full responsibility for its completion, although the contractor may enter into subcontracts with others for the performance of specific parts or phases of the project. Remodeling contractor– a general contractor who specializes in remodeling work. Specialty contractor– licensed to perform a specialty task e.g. electrical, septic/sewer, asbestos abatement. Sub-contractor– a general or specialty contractor who works for another general contractor. A method of project delivery in which the owner contracts directly with a single entity that is responsible for both design and construction services for a construction project. The architect prepares more detailed drawings and finalizes the design plans, showing correct sizes and shapes for rooms. Also included is an outline of the construction specifications, listing the major materials to be used. Helps protect businesses in the event they are sued by customers or other third parties for injuries or damages. The architect calculates expected future operating, maintenance, and replacement costs of desired designs and features to assist homeowners in developing a realistic design and budget estimate. A pre-agreed upon schedule of payments to a contractor usually based upon the amount of work completed. Such a schedule may include a deposit prior to the start of work. There may also be a temporary ‘retainer/hold back’ (5-10% of the total cost of the job) at the end of the contract for correcting any small items which have not been completed or repaired. A provision in a contract that provides for a reduction in the amount otherwise payable under a contract to a contractor as penalty for failure to meet deadlines or for failure of the project to meet contract specifications. Typically referred to as a ‘perc test.’ Tests that a soil engineer performs on earth to determine the feasibility of installing a leech field type sewer system on a lot. A test to determine if the soil on a proposed building lot is capable of absorbing the liquid affluent from a septic system. A governmental municipal authorization to perform a building process such as; zoning/use permit, demolition permit, grading permit, septic permit, building permit, electrical permit, plumbing permit, etc. The architect and homeowner discuss the goals, needs and function of the project, design expectations and available budget, pertinent building code and zoning regulations. The architect prepares a written statement setting forth design objectives, constraints, and criteria for a project, including special requirements and systems, and site requirements. The sum established by the owner as available for the entire project, including the construction budget; land costs; costs of furniture, furnishings, and equipment; financing costs; compensation for professional services; cost of owner-furnished goods and services; contingency allowance; and similar established or estimated costs. A list prepared by the client or their authorized representative of items of work requiring immediate corrective or completion action by the contractor- a list of discrepancies that need to be corrected by the contractor. To inspect and generate a punch list. The architect consults with the owner to ascertain the requirements of the project and prepares schematic studies consisting of drawings and other documents illustrating the scale and relationships of the project components for approval by the owner. The architect also submits to the owner a preliminary estimate of construction cost based on current area, volume, or other unit costs. An on-site waste water treatment system. It usually has a septic tank which promotes the biological digestion of the waste, and a drain field which is designed to let the left over liquid soak into the ground. Septic systems and permits are usually sized by the number of bedrooms in a house. A part of the construction documents contained in the project manual or included within the construction drawings consisting of written requirements for materials, equipment, construction systems, standards and workmanship. One of the more common basic and minimum construction standards. This is another way of saying that the work should be done in the way it is normally done by the average professional in the field. Can be calculated as both gross and net square footage. No uniform standard for computing a residential square footage yet exists. Architects, builders and Realtors each measure square footage differently. Square footage is not always an indication of the livable space available in a structure. Clients are encouraged to ask for an explanation of which spaces were included in the square footage calculation and how it was calculated. Refers to a stage of a construction or building project or a designated portion of the project that is sufficiently complete, in accordance with the construction contract documents, so that the owner may use or occupy the building project or designated portion thereof for the intended purpose, without undue interference. A construction contract which specifies a price for different elements of the work such as cost per hour of labor, overhead, profit, etc. A contract which may not have a maximum price, or may state a ‘price not to exceed’. In construction there are two general types of warranties. One is provided by the manufacturer of a product such as roofing material or an appliance. The second is a warranty for the labor. For example, a roofing contract may include a 20 year material warranty and a 5 year labor warranty. Many new homebuilders provide a one year warranty. Any major issue found during the first year should be communicated to the builder immediately. A form of insurance that provides compensation medical care for employees who are injured in the course of employment, in exchange for mandatory relinquishment of the employee’s right to sue his or her employer for the tort of negligence. Next up in the ‘Hiring an Architect’ series, Part 5- What? Me, Hire an architect? Stay tuned. ** Go find yourself an architect and define your project, it will be worth it! Part 3 of our ‘Hiring an Architect’ series provides questions you as a client should ask the architect you’re interviewing for your project. The previous posts discussed how to go about finding and Hiring an Architect: Part 1- The Search and questions you as a client should ask yourself prior to meeting with an architect, Hiring an Architect: Part 2- Q&A Yourself. If you’ve been reading along you may be thinking, “Wow, even more things to consider?” Yes, yes there are. However, this is why you’re hiring an architect. Your architect is there to guide you through the process and make, and help you make, the myriad of decisions that factor into creating a house you want, one that fits you and your needs. 1. What are the primary issues or challenges in our project? 2. How will the architect decide what we need? 3. Do you have experience with projects similar to ours? 4. What is the architects’ design beliefs/philosophy? 5. Can the architect take on our project with their current workload? 6. How will the architect explain the process as the project proceeds- virtual models, physical models, sketches, drawings, etc. 9. How will you establish the fees for our project? 10. 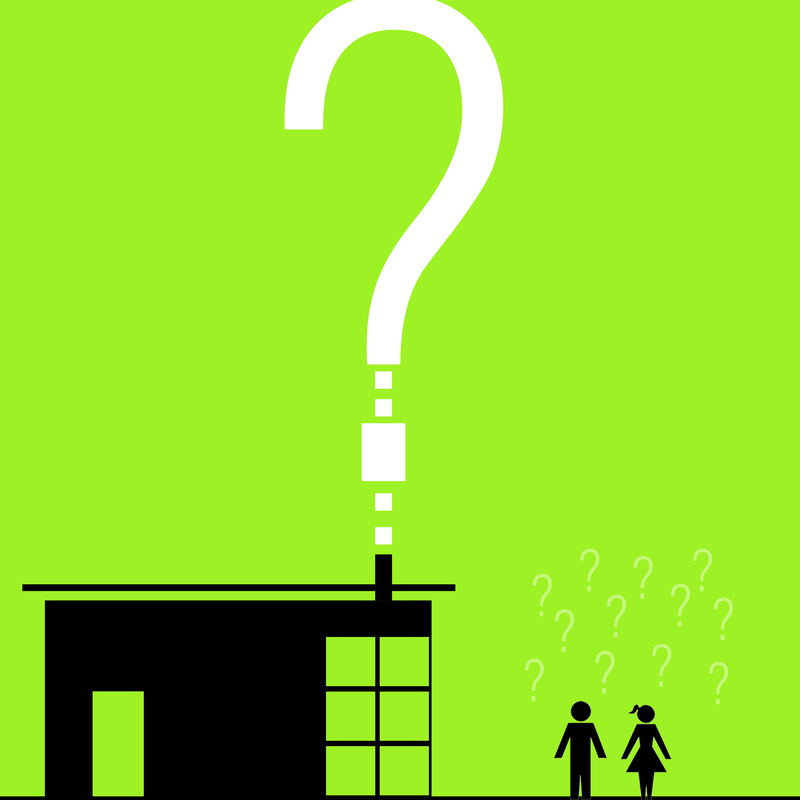 What do the architect’s fees cover? What would constitute additional fees and how would those be justified? 11. 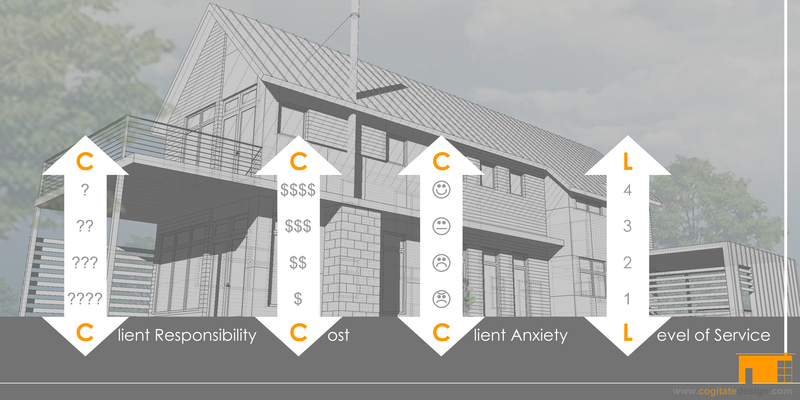 What is the architects experience with construction cost estimating? 12. Will a preliminary budget be provided by a contractor? 13. If the initial design is over budget, what will the architect do to rectify? 14. Do you have a consultant to provide the structural engineering? Is that included in your fees? 15. If we wish the services of an interior designer, do you employ an interior designer or can you recommend and coordinate with one? 16. Will the architect assist with contractor selection? 17. Do you recommend bidding the project or negotiating a fee? 18. What is the anticipated design/documentation schedule? 19. What is the expected construction schedule? 20. What is your involvement during construction? You want the architect involved, for additional information read Construction Administration. 21. At what points in the process will we meet and discuss/ provide feedback? With these questions answered, you should start to get a better sense of whether or not the architect is a good fit for you and your project. It is important to note that the construction process is inherently complicated. There will almost always be questions, unforeseen circumstances, etc. The ability of you and your architect to work through these events as a collaborative team will have a significant effect not only on the final product, but also on your level of stress throughout. You need to trust your architect. You need to be comfortable in talking with them. You do need to like your architect. You need to have confidence in their integrity and skill set as an architect. What questions have you asked as a client? As an architect, what has been asked of you? Go find yourself an architect, it will be worth it! ** I can send head-shots if you want to paste me in as your architect. Part 1 of the ‘Hiring an Architect’ series discussed how to go about finding and hiring an architect, you can catch up here Hiring an Architect: Part 1- The Search. Part 2 of the series provides questions, you as a residential client, should ask yourself prior to talking with an architect. I’m a firm believer in educated clients who are vested in their projects. I want my clients to ask questions and be an integral part of the design and construction process. I don’t want a client who tells me “I have an unlimited budget, just design me something that you think is good…oh, and I don’t want to be involved with the process.” I know, I know, this goes against the stereotypical belief of what an architect wants. Wait, what? Let me re-phrase, I’ll be more than happy to work on such a project, but I prefer an involved client who has ideas/beliefs about their project. 1. What is it about your current home that you like? What do you dislike? 2. What is most important to you in the home? 3. How long do you plan to be in the home? 4. Do you, or any frequent guests, have special accessibility needs? 6. Who will reside in the house? Include ages. 7. Do you use your yard- If yes, how? If no, why not? 8. Why do you want to change your home/build a new home- are you expecting children, are children grown and leaving the home, do you need/want more or less space, have your needs changed, etc. 9. Will you use the new/renovated home differently than your current? 10. Are there features you wish to include in the new home? 11. What do you envision the renovation/addition/new home to look like, both inside and out- clip images from magazines and such that you find appealing and organize them in a binder. 12. How much time can you, or do you, want to be involved during the design and construction process? 13. Do you plan on doing any of the work yourselves? a. Retain the budget and compromise on less important features and qualities. b. Adjust the size and quality where they will have negligible impact and increase the budget slightly if required to avoid further compromise. c. Build what we want regardless of what it costs. d. Employ less expensive materials while retaining desired size of house. e. Employ high quality materials but reduce the size of the house. 16. Are there strict time constraints to the schedule? 17. Are there any covenants, restrictions, or outside design review committee required for your property? 18. 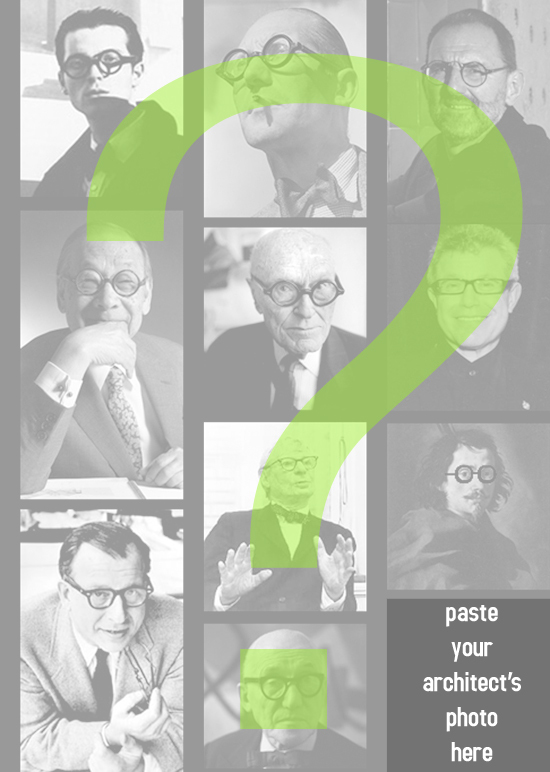 Have you worked with an architect before? 19. What is it that you think an architect does and how can they benefit your project? 20. What qualities are you looking for in an architect? *BONUS* Imagine that your house is complete and a newspaper wants to feature your house in an upcoming article about architectural design. Typically the first paragraph gives an overall sense of the house; its general aesthetic, setting in the landscape, materials, key features, etc. Write that first paragraph. This is not meant as an all-encompassing list, but rather questions to start thinking about and serve as a catalyst for in-depth discussions with your architect. I personally use a 30 page questionnaire that I ask clients to fill out. While it may seem like a lot of work, most clients like it because they start thinking and dreaming of things that haven’t previously crossed their minds. It also serves to enhance the fact that they are an integral part of the process. You’ll notice specifics are kept to a minimum in the questioning. At this point, the goal is to inform the architect how you live, not the kind of house you want. 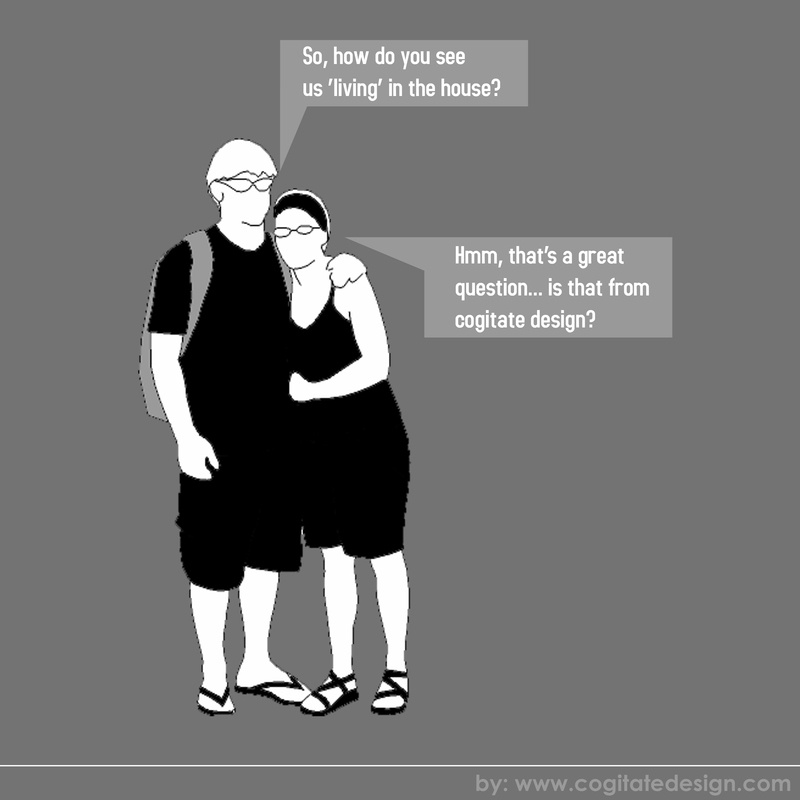 If your answers and discussions with the architect are detailed and informative, you’ll end up with the house you want. The more detailed information you can provide, the easier it will be for you and your architect to address your needs and reach a solution that fits you and your lifestyle. 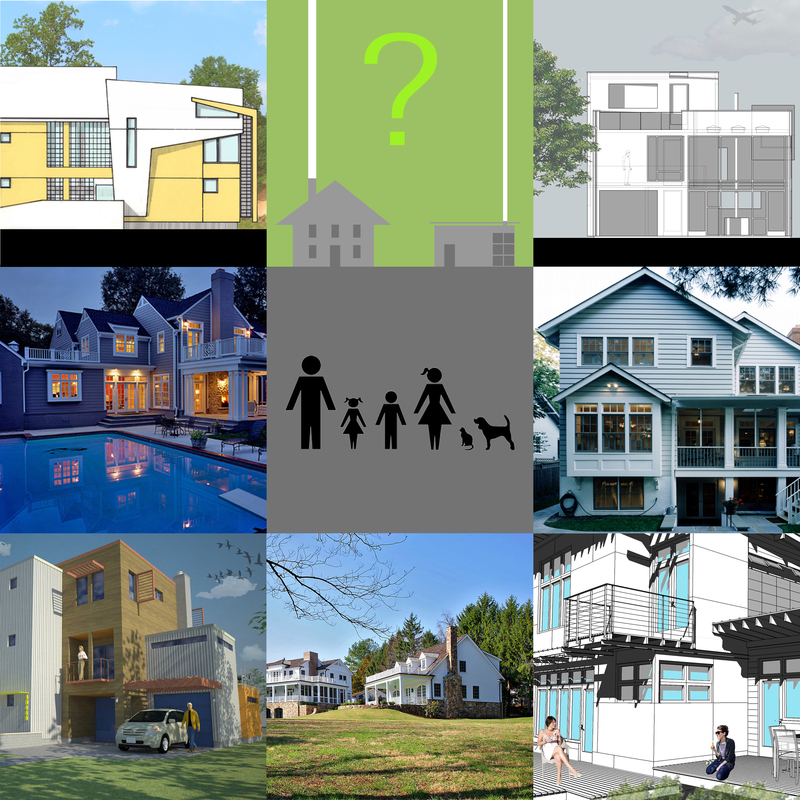 Part 3 of the series will discuss questions to ask your architect, stay tuned! ** Sorry, no scantron to answer these questions.